If there is any way you wish to customize your affair, please ask us to assist you with your choices to ensure an unforgettable occasion. We have access to professional bands and D.J. 's, photographers, bakers, flower specialists, and rentals of special furniture and decorative pieces. All prices subject to change. Non-refundable deposit required to reserve date. Prices do not include 6.35% tax & 18% gratuity. Final count approx. 10 days prior to event. 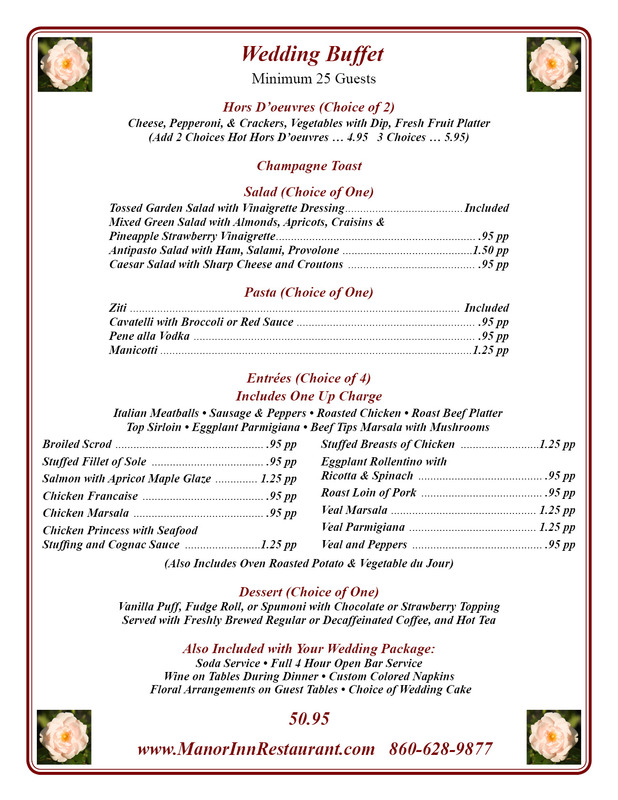 Wedding Buffet Dinner Menu Shown Below . . . 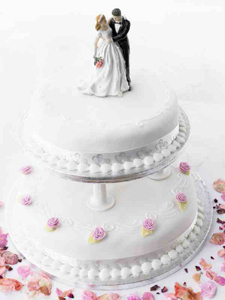 The Manor Inn offers a Standard Wedding Package.